DTJ uses investigative research to understand how war affects children and how best to respond with durable solutions. DTJ investigates the impact of violence on children around the world. Our research takes a patient, rigorous approach to understanding how communities frame their needs themselves. We choose our research topics based on where we can offer a unique perspective to an under-explored area of focus within existing bodies of research. 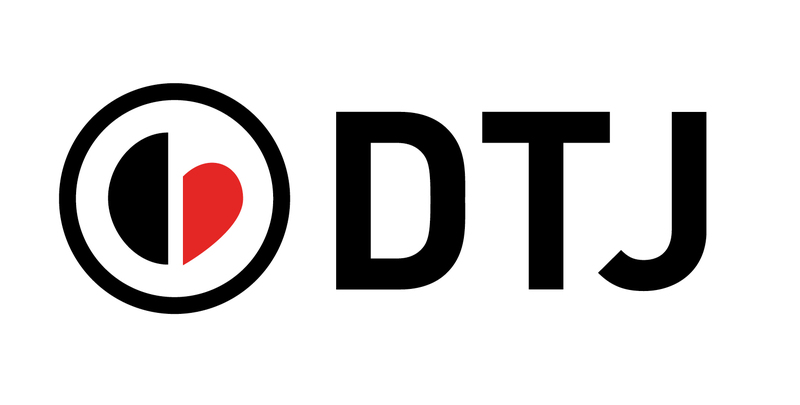 All of DTJ’s research is conducted with specific outcomes in mind including recommendations for policy makers, governments and donors. However the most important tangible end result is that our research serves to lay the groundwork for interventions designed by DTJ addressing specific problems affecting children living in war. We partner with academic institutions like Harvard Humanitarian Initiative and Queens University, Belfast as well as independent researchers to carry out our research projects. We utilize a mix of methodologies including both quantitative and qualitative data gathering and analysis. Our research to date focuses exclusively on the impact of the Lord’s Resistance Army on communities in central Africa. The report argues that local Zande communities, the population group most affected by the LRA today, can play a critical role in defection. 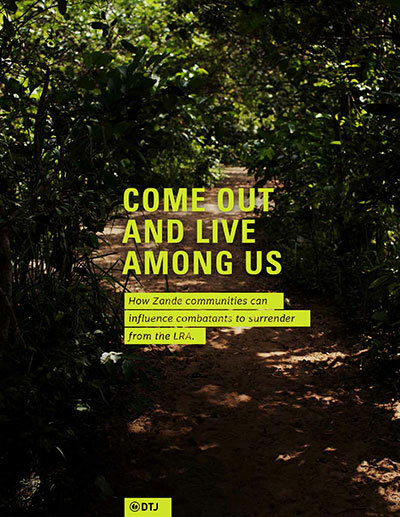 Zande communities are too often ignored, marginalized, and not fully collaborated with by international defections actors. Defection is a non-violent strategy to remove the LRA from the battlefield. Encouraging and facilitating the peaceful surrender of LRA combatants is one of the most effective ways to reduce threats to communities in central Africa and weaken the LRA’s ability to effectively operate. However, what happens when LRA combatants escape? Are communities prepared to receive them? Can communities play a role in persuading the LRA it is safe to surrender? 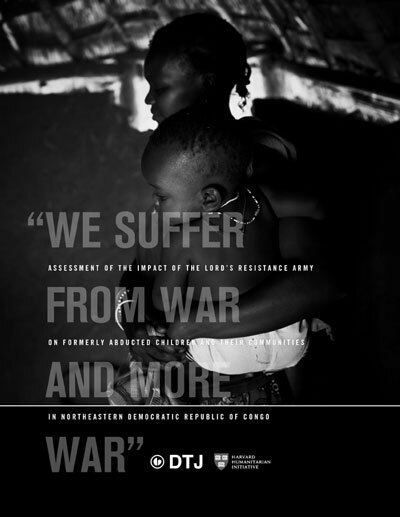 This study highlights the voices of individuals currently affected by the Lord’s Resistance Army to detail the extensive and systematic devastation felt specifically by formerly abducted children and their communities in northeastern Democratic Republic of the Congo. Respondents stressed that the international community must assist with providing essential services through long-term engagement, including life-saving health services; improving water and sanitation access; and providing psychosocial and educational interventions to formerly abducted children and adults. While these communities are facing emergency-level challenges now, the need for solutions that will last into the future. This study is a collaboration between Discover the Journey and Harvard Humanitarian Initiative.